"Here is a book that is both learned and easy-to-read, well-researched and inspiring. Greg Haslam has done a masterful job in producing a work that deserves to be read by every church leader and every believer. I pray that your mind will be challenged and your heart warmed by what you are about to read." The message of Jonah to us today is both provocative and prophetic. It reminds us that God has a passion for reaching people that far exceeds our own. It reminds us that He is deeply affected by human sin and consistently seeks to win people back to Him by extending His outrageous grace to them. We all have something of Jonah in us. Like him, we are often wrapped up in our own concerns. 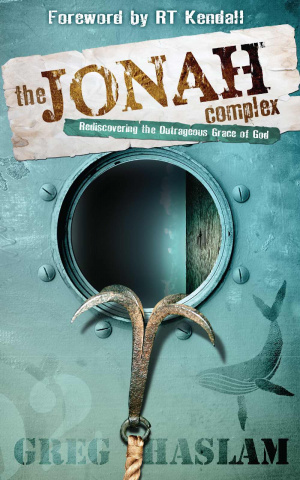 But God gave Jonah a wake-up call he would never forget, setting him back on the path to achieving his destiny - and He can and will do the same for us We may have messed up on the past or feel disqualified from doing anything great for God, but Jonah's life is the ultimate evidence of the "God of the second chance." Greg Haslam takes us on a journey to help us understand and cooperate with the will of God for our lives and highlights the power of what even one person can do if fully surrendered to the Almighty. The Jonah Complex by Haslam, Greg was published by Destiny Image in June 2014 and is our 54940th best seller. The ISBN for The Jonah Complex is 9780768403954. Be the first to review The Jonah Complex! Got a question? No problem! Just click here to ask us about The Jonah Complex.